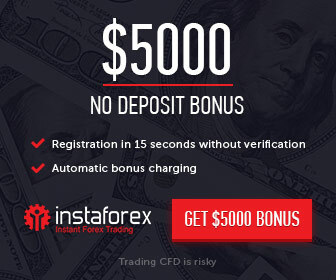 $50 Free Crediting Forex No Deposit Bonus to CF Merchants All new clients. Profit earned on Free Crediting Welcome Bonus is withdraw able, Maximum profit withdrawal limit is 50 USD without depositing funds and minimum Ten Standard lots Trade are required. For crediting a $50 Welcome Bonus, you are required to send an email at support@cfmerchants.com. Bonus of $50 is not Cash able. If client deposits $100 into bonus account, client needs to place 10 standard lots to withdraw unlimited profit. In case of zero deposit into bonus account, company will deduct its bonus amount on first withdrawal. $50 bonus amount is only Trade able not Cash able. Only one account will have $50 welcome bonus Against One ID. Leverage on these bonus accounts will be 1:200 max. All account will be opened in standard category only. All these bonus account are not eligible for commissions and IB rebates.